Reg­is­tra­tion is full! 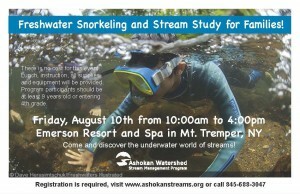 The AWSMP will be offer­ing this pop­u­lar pro­gram again in 2019. If you would like to be added to a wait list please con­tact Brent Gotsch at bwg37@cornell.edu or 845–688-3047 ext. 3. 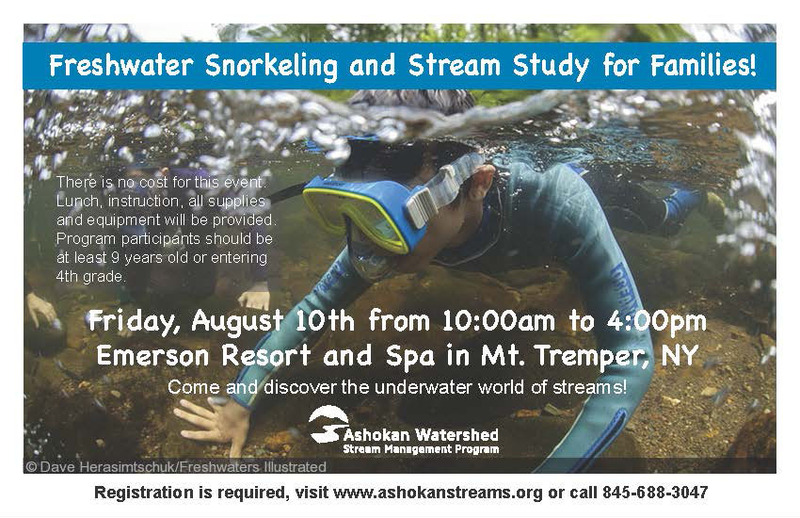 The Fresh­wa­ter Snor­kel­ing and Stream Study for Fam­i­lies event will be held on August 10, 2018 from 10:00am to 4:00pm at the Emer­son Resort and Spa in Mount Trem­per, NY.